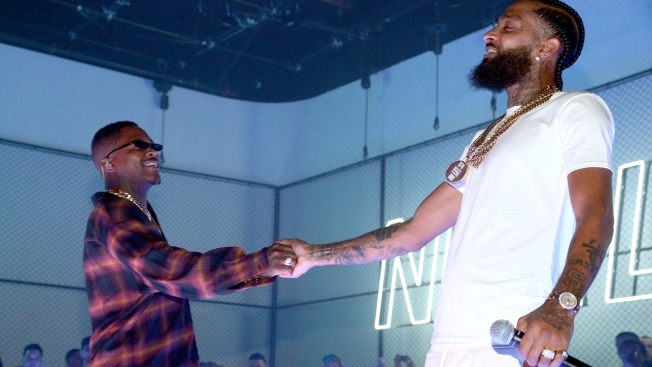 Free tickets for a memorial this week in honor of rapper and Los Angeles philanthropist Nipsey Hussle were gone within minutes Tuesday morning. The tickets were available on a first-come, first-serve basis, starting at 10 a.m. through event marketing platform AXS. 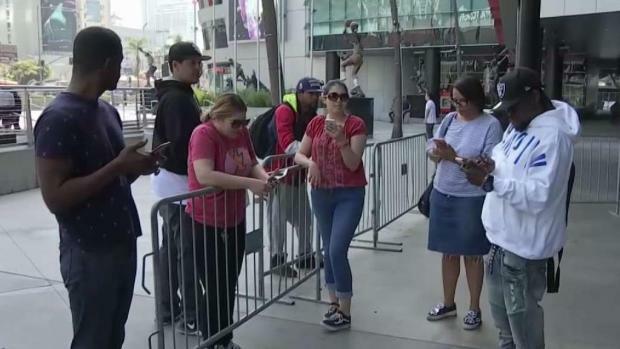 Hopeful fans, some of whom gathered outside Staples Center, the site of Thursday's memorial, received the following message on their phones as they joined a wait list: "Tons of fans want tickets for this event just like you." At 10:42 a.m., some received a message that said all tickets have been distributed and no additional tickets will be available. The rapper, known for his generosity and work to support South Los Angeles neighborhoods, will be remembered Thursday morning at the downtown Los Angeles arena. The memorial, set to begin at 10 a.m., will be free to ticketholders and is open to California residents only. Each attendee could get a maximum of four tickets. Fans outside Staples Center were waiting to pounce on tickets for the slain rapper's memorial. Toni Guinyard reports for the NBC4 News at 11 a.m. on Tuesday April 9, 2019. NBC4 is attempting to gather details about a procession scheduled for the same day. Hussle, 33, was gunned down earlier this month outside his Marathon Clothing Company store in the Hyde Park area. The suspected gunman, Eric Ronald Holder Jr., was taken into custody following a 48-hour manhunt. He is being represented by famed attorney Christopher Darden, best known for his role on O.J. Simpson's dream team. Hussle, who's birth name is Ermias Asghedom, has been revered since his death as a voice trying to help in his Southern California neighborhood. Vigils drew hundreds outside his store, while at least three murals in Los Angeles alone have been created to honor his legacy. A fans waits to access tickets for the Nipsey Hussle memorial in Los Angeles. Those attending will not be allowed to leave tickets for pick up at will call. Doors will open at 8 a.m. and guests will be subject to metal-detector screening and other searches. No backpacks of any size will be permitted and no bags larger than 14-by-14-by-6 inches will be allowed. Cameras will not be allowed, and all attendees must enter the venue together.